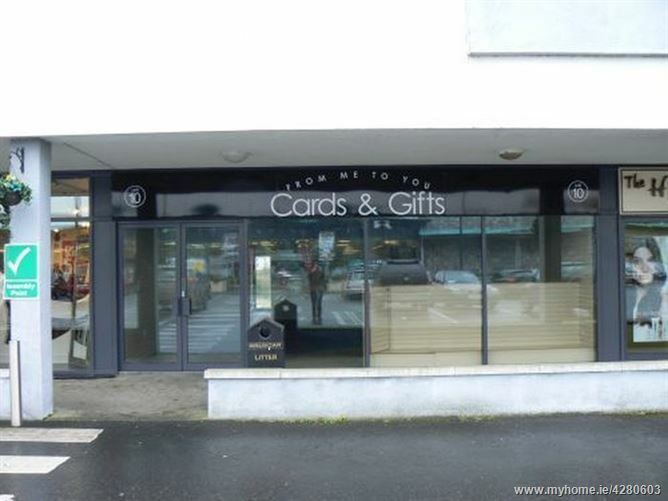 Excellent opportunity to acquire a fine high profile spacious ground floor retail unit situated near opposite entrance to Joyces Supermarket in the ever popular and vibrant Athenry Shopping Centre. 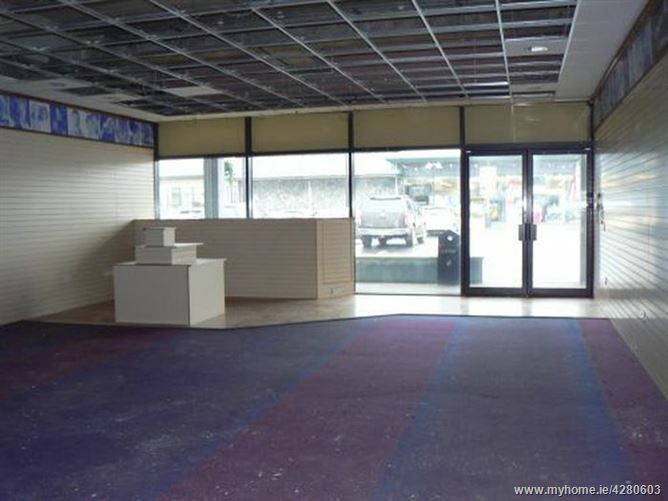 The property occupies a high profile pitch within the Athenry Shopping Centre and commands good building frontage of approximately 24 ft onto the main retail stretch. The property was formerly used as a card and gift shop. Local neighbouring retailers include pharmacy, boutique, hair salon, dry cleaners, jewellers, print works, Just Kidz, Mocha Beans amongst others together with the anchor tenant Joyces being opposite the unit. 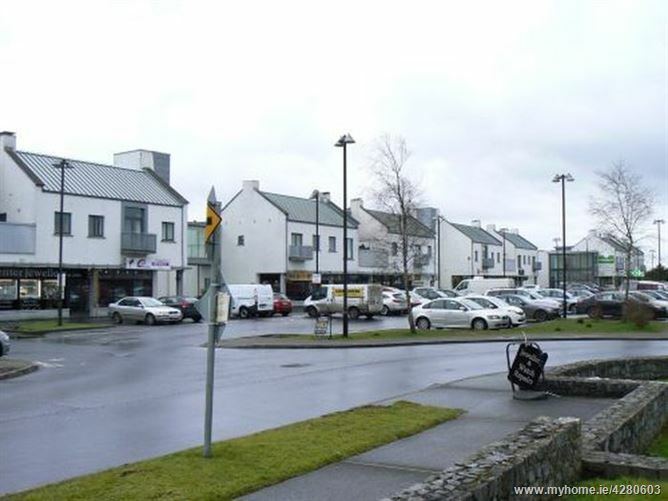 Athenry is an increasingly popular residential destination being within such easy access from Galway city with new motorway and with superb rail link to this Medieval and Heritage town. 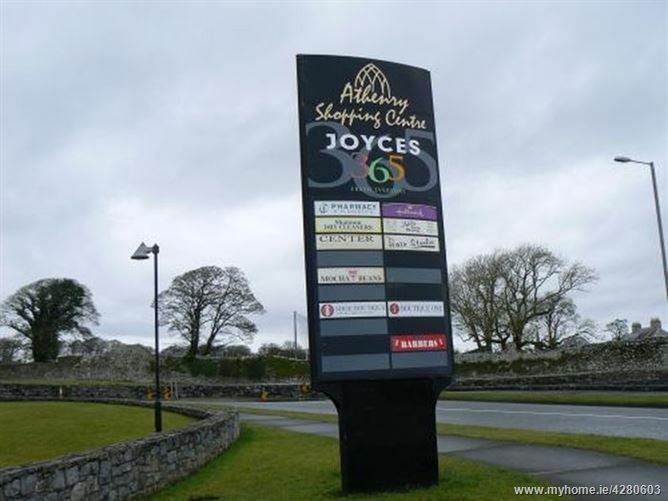 Athenry shopping centre is situated on the outskirts of the town with excellent access to the Galway / Dublin motorway and the upcoming N17 / M18 Tuam to Gort / Limerick route. 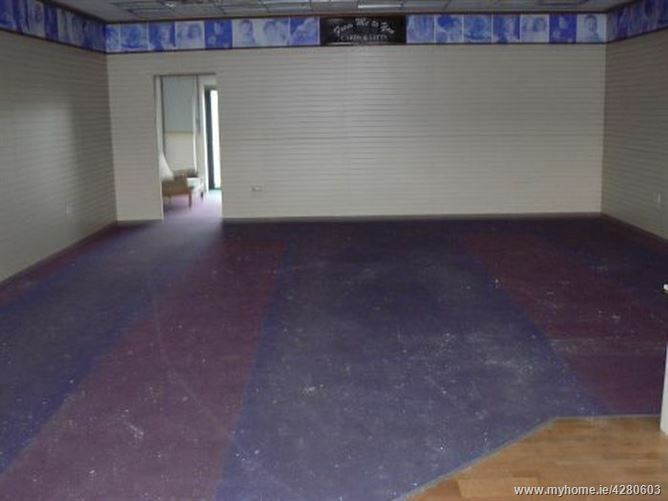 The property comprises a fine ground floor retail unit extending to approximately 1,100 sq ft or thereabouts. 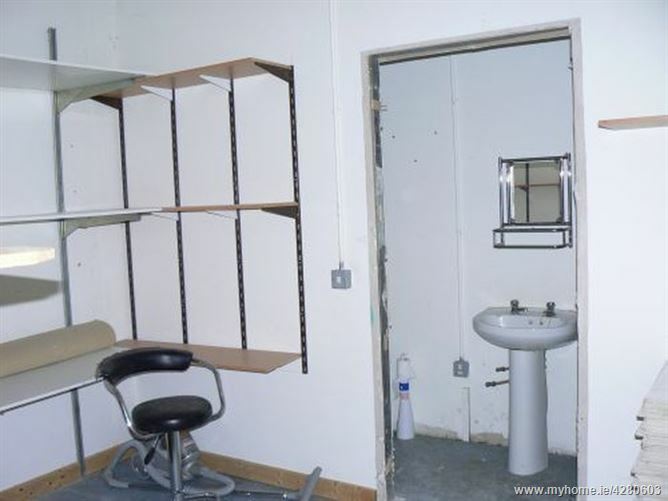 The property has partly carpet tiled floors and part suspended ceilings with generous electrical provision throughout. The property has an expansive window frontage onto the main retail stretch in a prominent trading pitch. 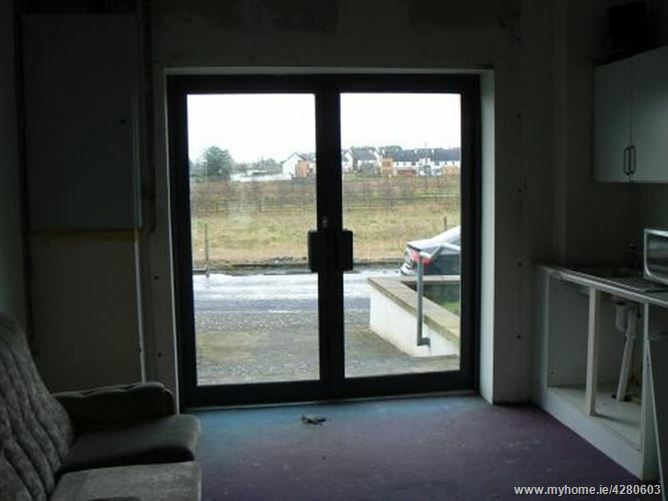 The recent annual service charge for the unit is €1,157.20 and the recent annual Rates liability for the unit is €3,129.73 we are advised. 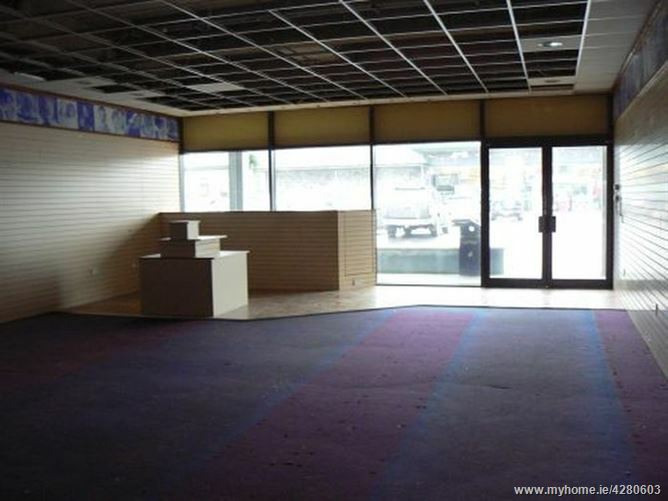 Management Company - Athenry Shopping Centre Management Company Ltd.
€115,000 exclusive of any VAT applicable.